A recent study published in JAMA Neurology suggests that low levels of vitamin D may be linked to a decline in cognitive ability and could be blamed for brain structure abnormalities, cognitive decline, and dementia development. According to the National Health and Nutrition Examination Survey, 42% of adults were determined to either be deficient in vitamin D or have insufficient levels of vitamin D in the body. The survey also revealed that the percentage of deficient or insufficient vitamin D levels rises to over 50% after the age of 65. For this particular study, lead author Joshua W. Miller and study co-authors analyzed vitamin D levels in 382 participants. They also observed changes in cognitive functions. All participants were enrolled in the study from an outpatient clinic in California from February 2000 to August 2010. The average age of all participants was 75.5 years, 62% were female, 38% were male, 41.4% were Caucasian, 29.6% were Hispanic, and 29.6% were African-American. Of the 382 participants, 17.5% had dementia, 32.7% had a mild cognitive impairment, and 49.5% were cognitively normal. 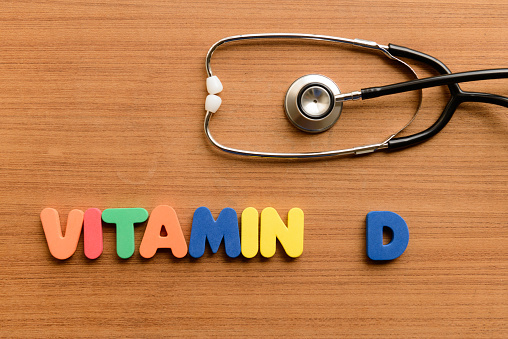 Researchers reported that the blood tests taken from each participant showed an average vitamin D level of 19.2 nanograms per milliliter (ng/ml), meaning 61.3% of participants had unhealthy vitamin D levels. About 26.2% were determined to be vitamin-D deficient, compared to 35.1% who were insufficient. Additionally, researchers observed a higher decline in cognitive ability and episodic memories in those participants who were determined to be vitamin-D deficient. The researchers concluded by explaining that despite evidence showing that vitamin D deficiencies appear to be linked to lower cognitive function, the benefits of giving vitamin D supplements is yet to be determined. Miller, J.W., et al., “Vitamin D Status and Rates of Cognitive Decline in a Multiethnic Cohort of Older Adults,” JAMA Neurology September 14, 2015, doi:10.1001/jamaneurol.2015.2115. Brazier, Y., “Low vitamin D levels may increase risk for Alzheimer’s,” Medical News Today web site, September 16, 2015; http://www.medicalnewstoday.com/articles/299435.php.